This time of year, you will sometimes hear meteorologists talk about left moving and right moving thunderstorms. Here is an example and I will then explain why it is important. Here you see a thunderstorm just beginning to split. 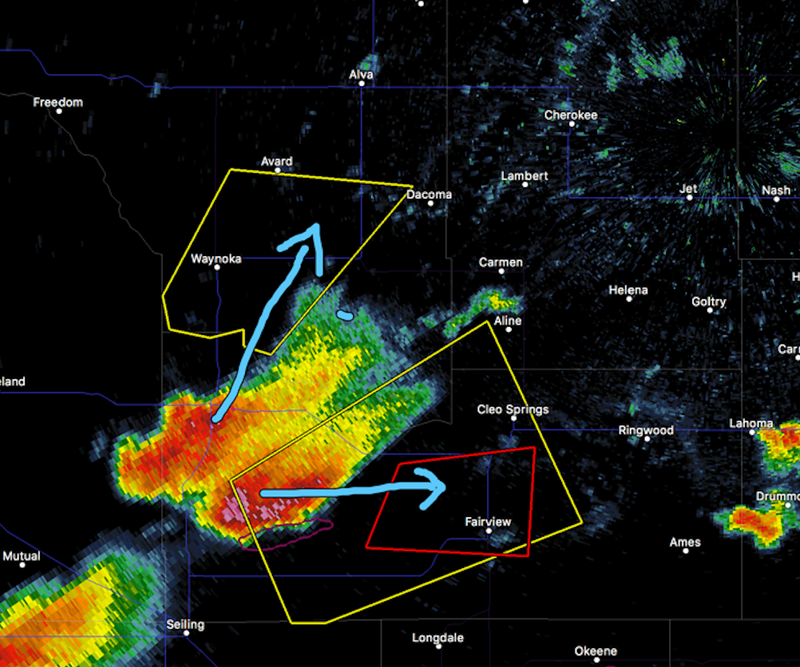 The storm on the left is moving toward the NNW and the second is beginning to move to the east. 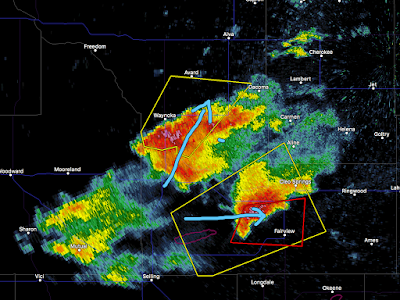 Typically, the left mover will cause large hail and the right mover will produce a tornado. 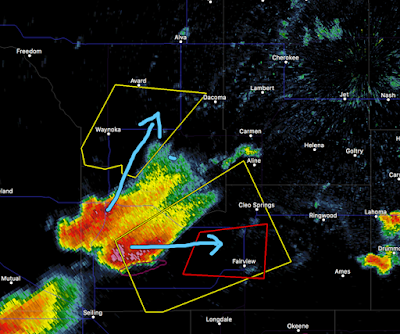 Sure enough a tornado warning is issued on the right-moving (east-moving) thunderstorm while a warning for large hail is issued on the left-moving storm. Like everything in meteorology, this does not work 100% of the time, but it is something to keep in mind during the rest of storm season.